English Marigolds have been grown and culltivated as garden and greenhouse plants throughout North America and Europe for nearly a century. and medicine for centuries as well. Traditionally, English Marigolds have been used to treat conjunctivitis, blepharitis, eczema, gastritis, minor burns including sunburns, warts, and minor injuries such as sprains and wounds. It has also been used to treat cramps, coughs, and snake bites. Historically, English Marigold flowers have been considered beneficial in reducing inflammation, promoting wound healing, and used as an antiseptic. Calendula has been used to treat a variety of skin diseases and has been seen effective in treatment of skin ulcerations and eczema. Taken internally through a tea, it has been used for treatment of stomach ulcers, and inflammation. however, this practice is not recommended. 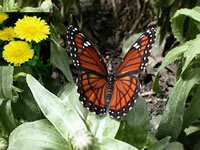 Research continues into the other healing properties that Calendula officianalis may provide. Today, Calendula officianalis is being investigated for it's anticancer properties. In conjunction with other herbs such as Echinacea purpurea, Scorzonera humilis L., and Aconitum moldavicum, there has been evidence of success in treating certain cancers (Heren's carcinoma) according to the Fedkovich Chernivtsi State University in the Ukraine. Calendula has been effective in treating juvenile acne and dry phthiriasis. Improvement has been seen in as little as 3-4 days of treatment according to the Universitatea de Medicina si Farmacie. Western Australia has been investigating Calendula for control of the Redlegged earth mite, Halotydeus destructor, which is a major pest of pastures and crops in Australia. In some cases, the crops had better growth and production when Calendula were planted as a decoy crop. The Calendula were heavily attacked while the damage to crops were less. Calendula tea can be made from the flowers growing in the garden. Dry the flower petals and use 1 -2 teaspoons of the petals per 200 ml of water. Pour the boiling water over the petals and allow to steep for 10 - 15 minutes. Strain and drink. Generally 3 cups of tea a day is beneficial. or tea 3 times a day. Unless you are allergic to Calendula, there has been no reported side effects or interactions, but always talk to your doctor before considering using Calendula internally.